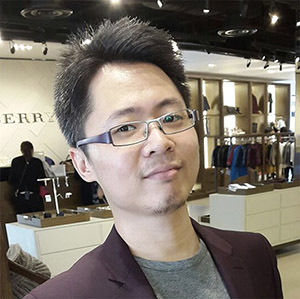 Hello, I'm RYU Chua, if you are looking for a Tech Co-Founder / CTO for startup, feel free to discover my profile. Thanks. My name is RYU Chua Boon Yew, a senior DevOps specialized in web application development using PHP + Yii Framework. I am also an Linux enthusiast, it had been my daily operating system for the pass 12 years, due to its stability and free as in free beer. I believe technology can bring a better life for humanbeing, and I know it is my mission to contribute my talent to make a better tomorrow. it is a records management system that help executive search consultant key in daily activity, and maintain their customer records, and sales history, and manage the invoice and collection. it is a records management system that help outsourcing division storing the records in systematic and centralized way. report and statistic, and one click profile of each entity. it is a original written in ASP.NET,VB.NET + MySQL, and running on Window Server 2008, with very poor search performance, and the user are not really able to get result from the search, which is not helpful to them. again we re-engineer the whole project into PHP 5.3.x + Yii Framework 1.1.8, and change the database to PostgreSQL due to it is faster in query large scale data, MySQL has poor performance using InnoDb, and buggy in transaction, in our test. it is also a complete rewrite of SAP,OMS after 1.5 years of patching, integrating, and merging of both system, with new management direction. Restructuring the current .NET 1.1 customized application into .NET 3.5, taking advantages of newer framework and fully object oriented using C# .NET. LEX10 Sdn. Bhd. is a MSC status IT software company which provide IT Solutions for Legal Industrial, our core product LEX10 Office (The Case Management System, formerly Legal Office) which assist the process of conveyancing, litigation and so on. In 2008, in the team of stabilizing the LEX10 Office on top of Zend Framework 1.7.x, and 2009, I am playing the role of system implementation, application support and system enhancement. Design and develop modules follow the development road map. Provide system and application support for all our clients. System and application implementation and customization. Maintain application repository and update history. Application Upgrade from 1.x to 2.x for 4 of the existing clients. Implementation of 6 new clients for version 2.x. Database and application development and upgrade. Linux Server setup and configuration. Communication skill between clients while problem reported. System enhancement and maintenance methodology. Good team player and Multitasking capabilities. Proven initiative and ability to work with minimal supervision. It is a chinese independent school located in Kluang Johor, after graduated from junior six, I had 3 years high school life living in school's hostel, and that was my first time leaving my hometown, I enjoyed those 3 years, it makes me an independent boy. The project is to develop a browser based multiplayer strategy game, and there is 4 main modules, they are the GameCore, TradeSystem, CommunitySystem, and InterfaceDesign. Designing game work flow and database structure. Develop Standard API and Libraries. All Basic Input/Output functionality in game. Other game functions except resource trading among user (done by teammate in TradeSystem). CentOS, Ubuntu, Red Hat, OpenSuSE, Archlinux, and etc.